Europe-based medical journalist and writer, providing medical news and conference reporting, as well as onscreen interviews, newspaper editing and manuscript writing. To find out more, scroll down or use the menu at the top. I started writing medical news in 2001, writing a daily general medical service alongside daily psychiatry and gastrointestinal stories. I went freelance in 2005 and, since then, have written in a number of fields, including cardiology, oncology, psychiatry, diabetes/endocrinology, gastroenterology, neurology and respiratory medicine, among others. I am a member of the National Union of Journalists. In recent years, I have been working with Medscape Medical News, recently ranked as the number one news source for US physicians (per DRG Digital and ZocDoc), and a leading online resource for physicians and healthcare professionals worldwide. To read news stories and features I have written for Medscape, go here. Below are some stories I have written in each of my principle specialties. Long Way to Go Before Testosterone Warnings Reach Older Men?US men aged 50 years and older, including many with coronary disease, are continuing to use testosterone despite warnings of potential cardiac harm, finds a new analysis of Medicare data. Type 2 Diabetes Could Be a Cause of Erectile DysfunctionErectile dysfunction may be caused by type 2 diabetes, mediated by insulin resistance, say European researchers, who suggest that lifestyle changes and diabetes drugs may treat the condition. Exercise Found to Rival Meds at Lowering Blood Pressure'We may want to think about nondrug interventions as potential alternatives to drugs in some cases, and blood-pressure lowering seems to be a good start,' said an author of a meta-analysis. To read more of my cardiology stories, go here. Is High Patient–Doc Chemo Goal Agreement an Outlier?A study reporting a high degree of concordance in understanding of chemotherapy goals between cancer patients and their oncologists shows the power of documentation is an outlier, argues an expert. Complexity 'Biggest Challenge' of Metastatic Breast CancerThe complexity and heterogeneity of metastatic breast cancer may be the biggest challenge in tackling this disease and underlies the lack of gains since the turn of the century. Million-Strong Study Supports CRC Screening Every 10 YearsA study of more than 1 million Californians has shown that guideline recommendations to screen for colorectal cancer every 10 years dramatically reduces both its incidence and mortality. To read more of my oncology stories, go here. Social Media Impact On Youth Mental Health 'Worse for Girls'Social media use by teenagers is associated with an increased prevalence of depression, low self-worth, and poor sleep, particularly in girls, say UK scientists. Mindfulness Could Help Weight Loss in Obese IndividualsOffering mindfulness alongside traditional weight loss management programmes could significantly boost outcomes in obese individuals and help improve their relationship with food, say UK scientists. Melatonin 'Should Be a Last Resort' in Tackling Sleep IssuesIndividuals with disturbed sleep patterns should look at light exposure and sleep behaviors before reaching for melatonin, say experts who suggest a series of recommendations for taking the hormone. To read more of my psychiatry stories, go here. Removing Snack Foods From Tills Could Improve Eating HabitsSupermarkets that introduce policies to remove crisps and sweets from their checkouts have seen dramatic falls in overall, and especially 'on the go', purchases of unhealthy foods, say UK researchers. Cell Phones Could Be a Source of Flame Retardant ExposureThere is a correlation between the levels of organophosphate esters found on cell phones and their metabolites in urine, say Canadian researchers, although whether the phones are the source is unclear. Work Needed to Unravel Why Night Owls at Higher Metabolic RiskThe mechanisms behind the increased risk of heart disease and type 2 diabetes among evening types requires further research, including into the subject of 'chrononutrition,' say European researchers. To read more of my diabetes & endocrinology stories, go here. In tandem with my journalism (see above), I have written conferences news and reports from dozens of medical congresses and meetings for numerous clients. These have ranged from small forums with no press facilities to multinational events with more than 30,000 attendees. Moreover, I have covered these meetings either entirely on my own, picking out the stories and arranging all aspects of attendance, or as part of team of journalists, providing whatever stories are required to complement the overall coverage. Below are a selection of some of the recent conferences I have covered for Medscape Medical News, filing typically between five and 10 stories from each. 31st European College of Neuropsychopharmacology (ECNP) CongressHeadlines include SSRIs being a 'double-edged sword' in major depression, the brain changes associated with club drug GHB, and how a high-quality diet may improve bipolar outcomes. European Association for the Study of Diabetes (EASD) 2018 Annual MeetingHow older women on low-calorie diets are at risk of bone and muscle loss, how sweeteners disrupt blood glucose via the gut microbiome, and reassuring findings for DPP-4 inhibitors in diabetes, among others. European Society of Cardiology (ESC) Congress 2018Research on how not all TAVR valves produce the same embolic debris, the long-term benefit of BP and lipid lowering, and how adding CT coronary angiography to standard care reduces CHD deaths. World Congress on Gastrointestinal Cancer 2018Hot topics include the confusion caused among clinicians by the explosion of GI cancer drugs, how the gut microbiome could influence immunotherapy outcomes, and the role of ramucirumab in HCC. American Society of Clinical Oncology (ASCO) 2018Headlines include the the use of emojis to help cancer patients report symptoms, the potential for immunotherapy in advanced prostate cancer, and the lack of benefit from heated chemo in CRC surgery. European Congress on Obesity (ECO) 2018Focusing on the impact of bariatric surgery on malignant melanoma rates, the loss of the Mediterranean diet in Southern Europe, and the benefits of a 'flexitarian' diet, among others. European Atherosclerosis Society (EAS) 2018Including studies on how a novel PCSK9 inhibitor lowers lipids, how body weight fluctuations are linked to CV events in diabetes, and the potential of umbilical cord blood to offer early FH diagnosis. Schizophrenia International Research Society (SIRS) 2018 Biennial MeetingHeadlines include how antipsychotics may alter thyroid function, sleep disturbances in schizophrenia, and how the internet may trigger psychosis relapse. Combining a previous role as a senior project manager with my skills as a journalist and conference reporter, I have worked on a number of daily newspapers produced especially for medical conferences. My role has ranged from interviewing members of the scientific committee and leading researchers as part of a team of journalists to being the managing editor, coordinating all aspects of the content, alongside liaising and working with the production team. 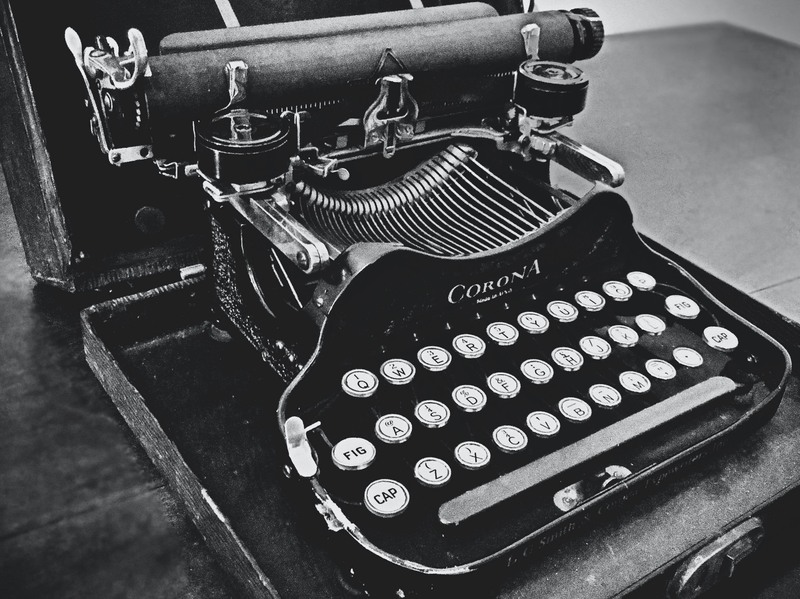 This has included managing and mentoring other journalists, editing all copy and writing a significant proportion of the articles, as well as coordinating the receipt of advertising materials, deciding on the pagination, and working with designers on the layout. Moreover, the type of newspapers produced has included those based entirely on telephone interviews and printed weeks before the event, as well as ‘live’ publications in which up to half of the content is written during the conference and the newspaper is finalised and printed overnight for delivery the next morning. Below are a selection of some of the conference newspapers I have worked on in recent years. 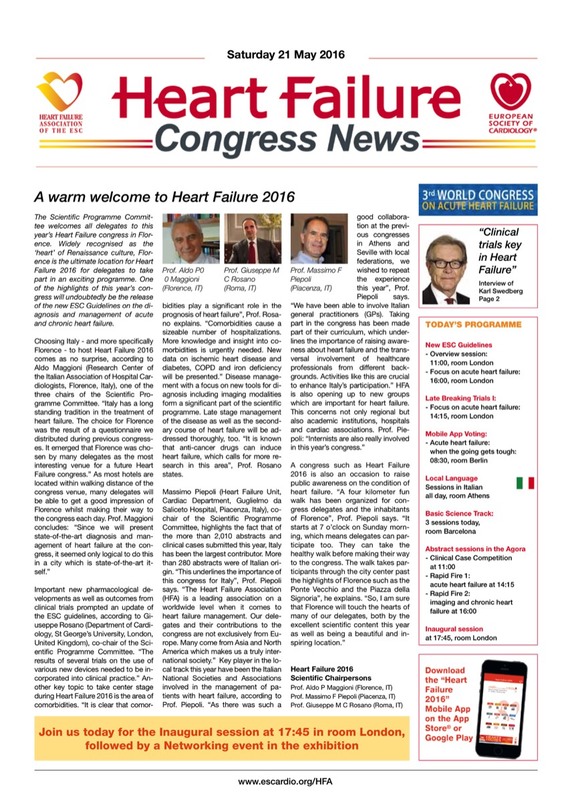 A daily newspaper produced by Biermann Verlag GmbH for the European Society of Cardiology, on behalf of the Heart Failure Association. Working closely with an editor, I wrote all the articles for each of the four issues. 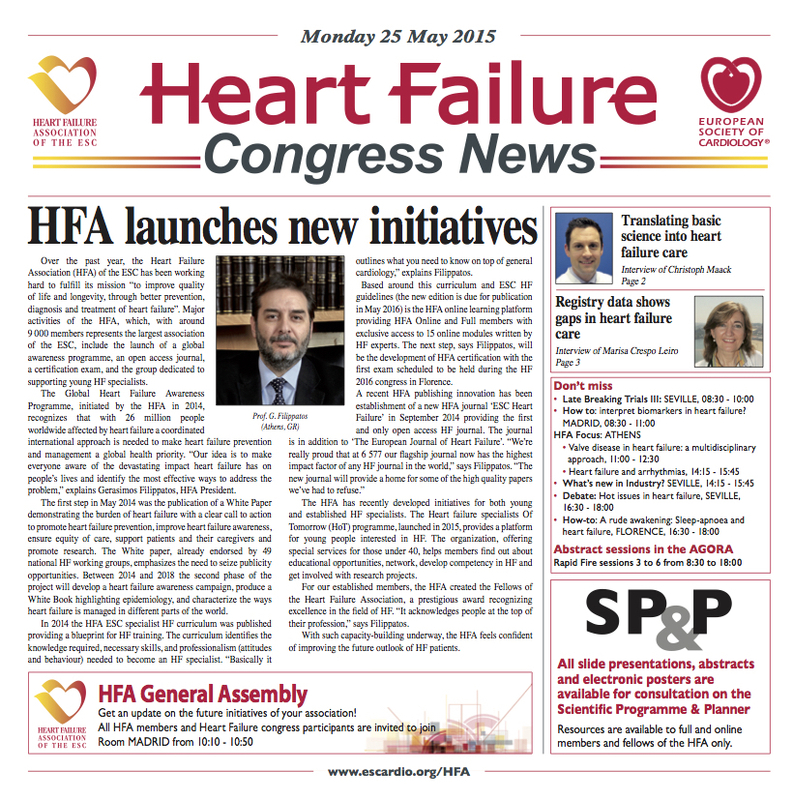 A daily newspaper produced for the European Society of Cardiology on behalf of the Heart Failure Association. Working directly with the ESC, I wrote half of the articles produced for the four issues. 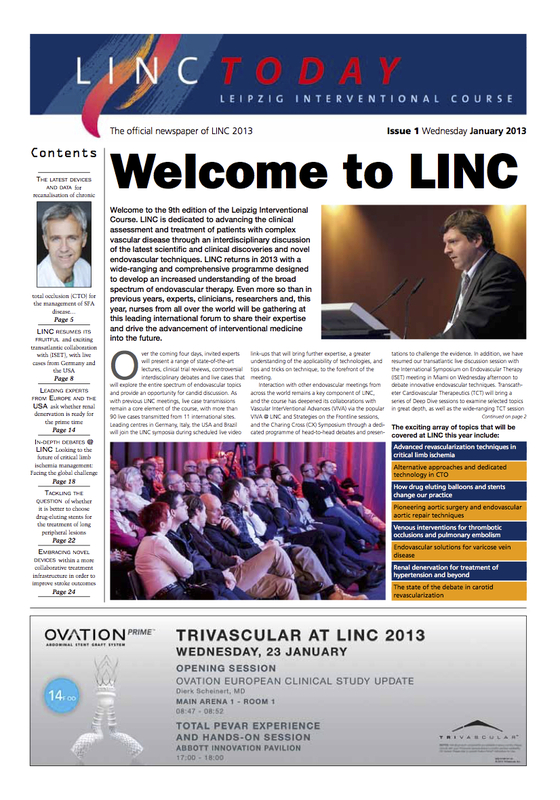 A daily newspaper produced for the Leipzig Interventional Course (LINC), with exhibitor advertising. I was managing editor and contributed articles, including ‘live’ pieces from the meeting. 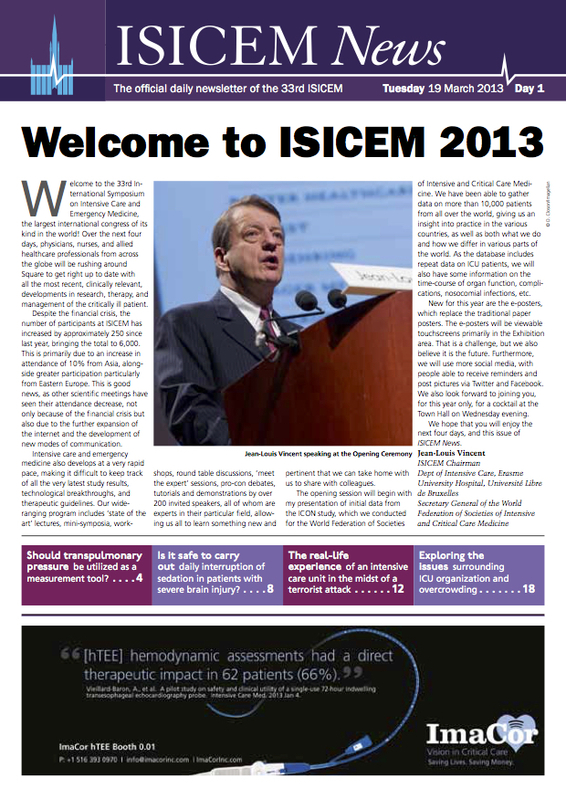 A daily newspaper produced for the International Symposium on Intensive Care and Emergency Medicine (ISICEM), with exhibitor advertising. Extending my work as a medical journalist and conference reporter, I have worked on numerous dedicated TV studios at conferences and symposia. This has included onscreen interviews of leading experts and members of the scientific committee, as well as off-screen Q&A interviews for editing into a monologue. In addition, I have coached doctors and researchers in conducting their own interviews, helping them both to workshop both content and to school them in the best way to present themselves on camera. All of these roles has required close teamwork with camera operators, sound engineers, director and video editors. Below are a selection of some of the projects I have worked on in recent years. This project involved conducting numerous Q&A-style interviews at Heart Failure 2017 in Paris, France, for editing into a single monologue. Working with a cameraman/editor, we interviewed, edited and uploaded each video on the same day. To see all twenty of the interviews, go here. For the 2014 European Society of Cardiology Meeting in Barcelona, Spain, I was the medical journalist assigned to a fully fledged TV studio, complete with camera operators, a sound engineer, director and video editor. In the majority of cases, I coached the interviewers and interviewees on the content of their discussion, filling in as interviewer when required. To see a selection of videos from the conference, go here. For the 2013 European Society of Cardiology Meeting in Amsterdam, the Netherlands, I was the medical journalist assigned to a fully fledged TV studio, complete with camera operators, a sound engineer, director and video editor. I have also worked on TV studios and conducted interviews at the Leipzig Interventional Course (LINC) in Leipzig, Germany, as well as at the 2012 European Society of Cardiology Meeting in Munich, Germany. Other related projects have included providing voiceovers fro a series of orthopaedic surgery videos. Over the years, I have written many academic papers for journals, alongside chapters and even entire books, on specialised medical topics. Principally, I worked with AMR Advanced Medical Research GmbH, a contract research organisation and medical writing agency based in Männedorf, Switzerland. For several years, I wrote and edited original research manuscripts in orthopaedics for submission to leading medical and scientific journals. Below are a selection of some of the journal manuscripts I worked on, along with their PubMed links. 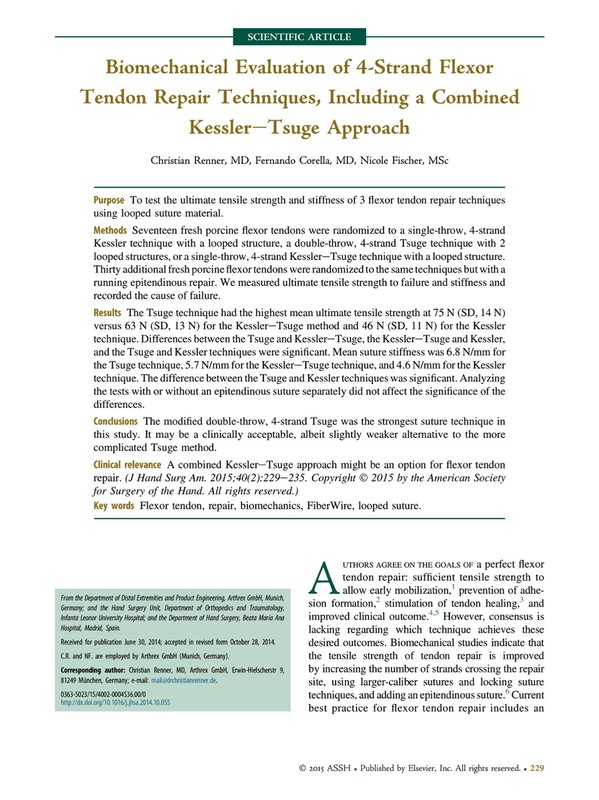 Renner C, Corella F, Fischer N. Biomechanical evaluation of 4-strand flexor tendon repair techniques, including a combined Kessler-Tsuge approach. J Hand Surg Am 2015; 40: 229–235. 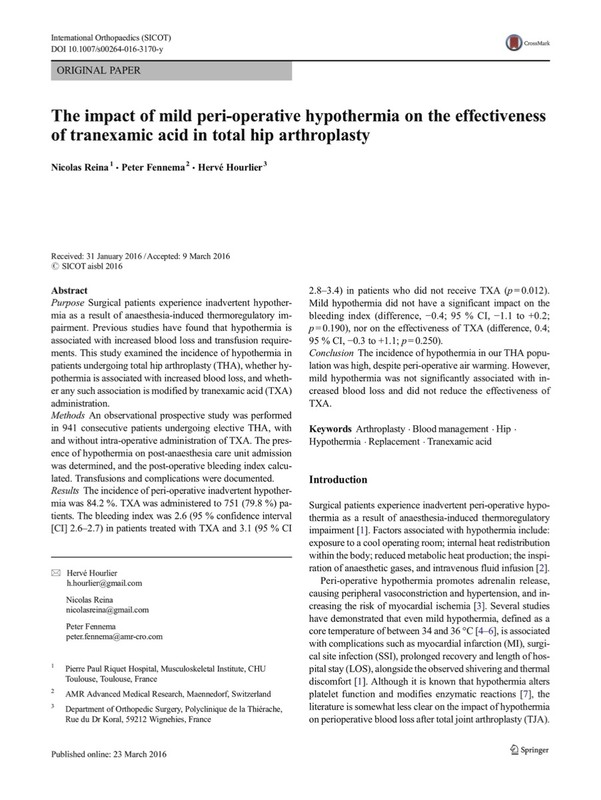 Reina N, Fennema P, Hourlier H. The impact of mild peri-operative hypothermia on the effectiveness of tranexamic acid in total hip arthroplasty. Int Orthop 2017; 41: 55–60. Peersman G, Stuyts B, Vandenlangenbergh T et al. 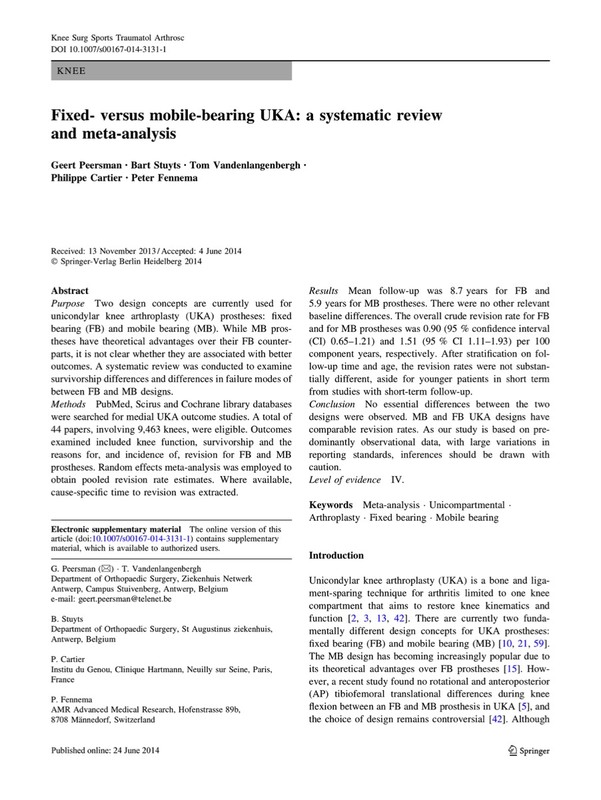 Fixed- versus mobile-bearing UKA: a systematic review and meta-analysis. Knee Surg Sports Traumatol Arthrosc 2015; 23: 3296–3305. Decramer M, Miravitlles M, Price D et al. 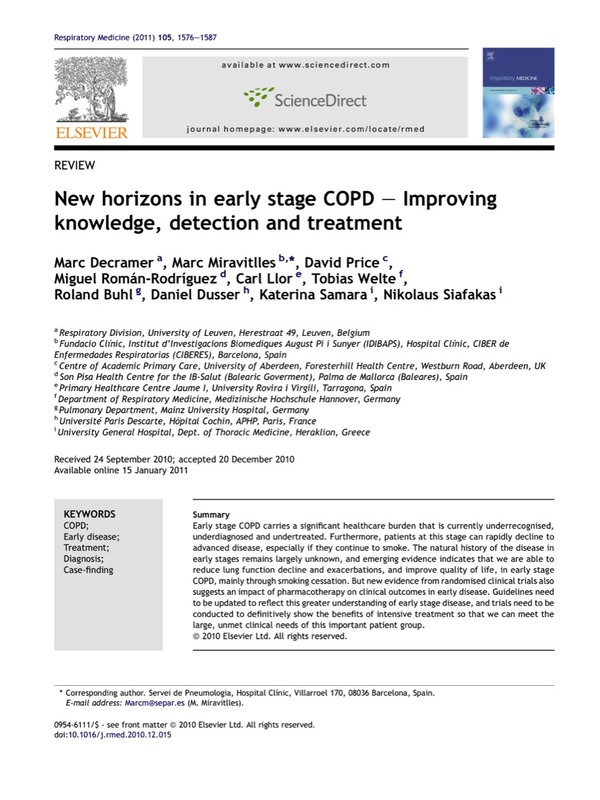 New horizons in early stage COPD--improving knowledge, detection and treatment. Respir Med 2011; 105: 1576–1587. NUJ extra is the charity for the National Union of Journalists (NUJ). Every year, it helps NUJ members who have fallen on hard times.